Q. What is the shelf life of Southern Cane sugar? Q. What is the best way to make use of Southern Cane sugar? A. 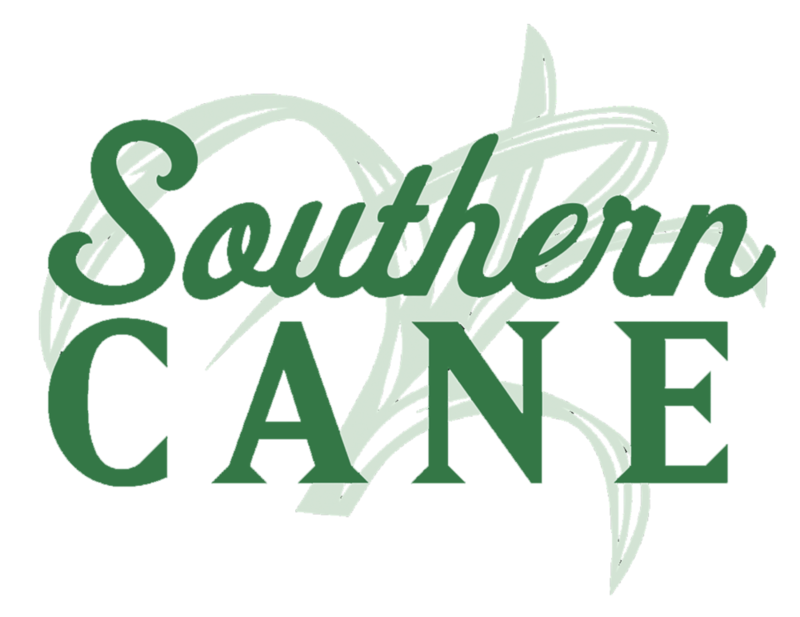 Southern Cane is excellent in any recipe! Sweet, savory, or a mix of both, our sugars are 100% pure and meant to bring out the best of any recipe. Check out some of our favorite recipes here. Q. What makes your sugar unique? A. We refine our sugars right here in Louisiana. Using time-honored methods and incorporating a genuine love for what we do, our Southern Cane brand of sugar is simple, sweet, and perfect for you and yours. The process of producing pure natural sugar begins by grinding sugar cane to extract its juice. The juice is then boiled until it develops into a thick syrup and slowly starts to crystallize. To produce “raw sugar,” the sugar crystals are then spun in a centrifuge, a process similar to the Rinse and Spin cycle on your washing machine. The raw sugar is then shipped to the refinery where it is remelted and filtered/purified to rid it of any remaining non-sugar ingredients and color. Finally, it is crystallized, dried and packaged for consumer consumption. Sugar is all natural and only contains 15 calories per teaspoon. Sugar is not the cause of obesity. Sugar is not a high glycemic food. Sugar does not cause a “sugar high”. Sugar (or sucrose) is a carbohydrate that occurs naturally in every fruit and vegetable. Sugar primarily comes from sugar cane and sugar beets from which it is extracted for our consumption. The sugar in your sugar bowl is the same sugar that is in a peach or watermelon. Sugar cane is a tropical grass that grows 10-20 feet high. Originally, people chewed raw sugar cane to extract its sweetness. Four U.S. states produce sugar cane: Louisiana, Florida, Hawaii and Texas . A stalk of the sugar cane plant contains 12-14% sucrose. The process of separating sugar from the sugar cane plant is accomplished in two steps, first at raw sugar mills and then at sugar refineries. Most sugar cane mills and refineries produce their own electricity and some even supply power to nearby communities.